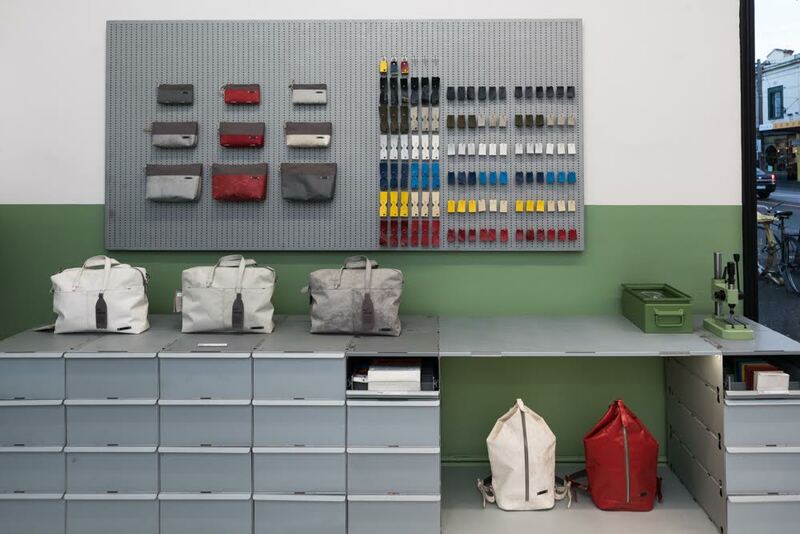 Freitag opens its very first outlet store in Australia, and what better place to launch than in Melbourne! Enthusiasts and newcomers alike can now enjoy the innovative uniquely recycled Frietag products. With over 1,600 individual products, all intriguingly stacked within its 65 square metres of space on Brunswick St, in the city’s buzzing Fitzroy! Freitag all began in 1993 when two graphic designer brothers, Markus and Daniel Freitag, were after a functional, water-repellent and robust bag to hold their creative work. With little luck, the pair decided to take matters in their own hands and create their very own. The style design of these bags was inspired by the multi-coloured heavy traffic that rumbled through the Zurich transit intersection in front of their flat. The designers developed a messenger bag from used truck tarpaulins, discarded bicycle inner tubes and car seat belts. 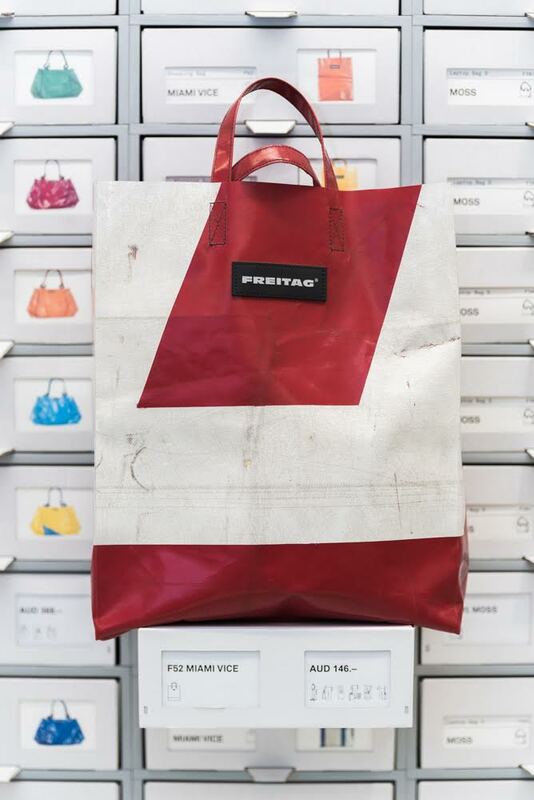 With this combination of recycled materials, a Freitag bag was born, and the rest is history. Fast forward to 2017, the brothers inadvertently triggered a new wave of bag making and after its success throughout Europe it’s finally made its way down under, making Freitag the unofficial outfitter of all urban bike-riding individualists! 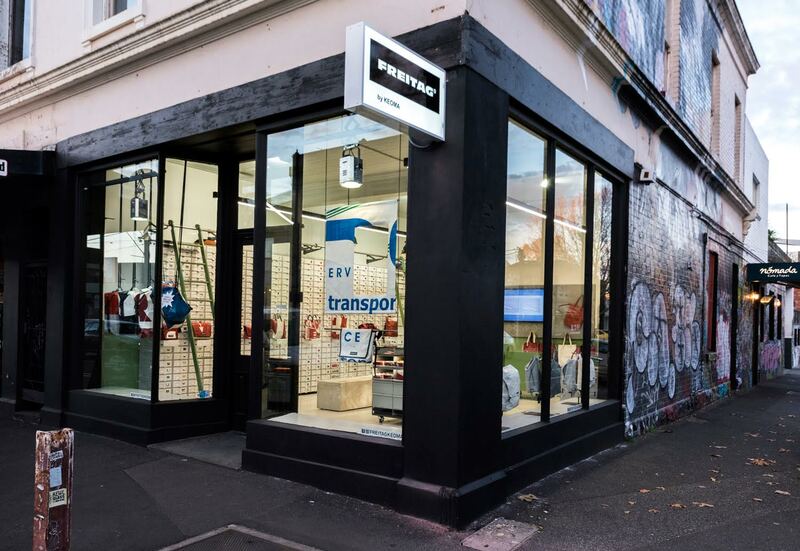 Visit the first Australian Freitag store at A 412 Brunswick St, Fitzroy. Previous Previous post: Smeg FAB50 Refrigerator – All Black, Everything!